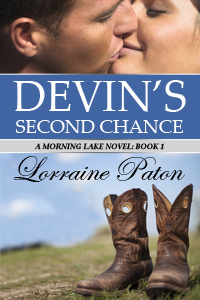 Lorraine Paton: Virtual Release Party for Devin's Second Chance! Virtual Release Party for Devin's Second Chance! Join me on Facebook on Monday June 17th for a virtual party to celebrate the official release of my debut book, Devin's Second Chance! Stop in to read quotes throughout the day and ask questions. Roxy Boroughs - What to Read Thursday! Today I'm a Guest on Sarah Kades' Blog! Today I'm being interviewed by Mae Clair! Devin's Second Chance - Official Release Day! Donna Cummings - What to Read Thursday!